For phone orders, please call us at (219) 769-2451. Our hours are Monday - Saturday 10am - 5pm CST. 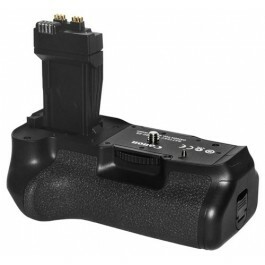 With this battery grip, you can shoot over twice as many photos with your Canon EOS Rebel T3i or T4i. Be sure you understand this grip will only work with the T3i or T4i. 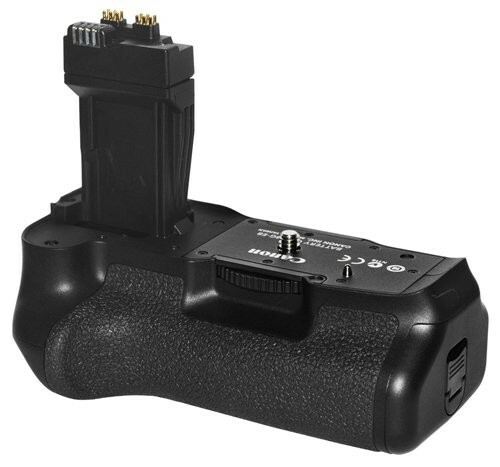 If you're not familiar with a battery grip, they are more commonly seen being used by professionals to shoot weddings, events, etc. so that they have an extra power supply. A grip can really come in handy if you're on vacation or any other time you're out shooting hundreds of photos without the chance to recharge your batteries. The most convenient thing about this BG-E8 is the fact that you can either use 2 Canon rechargeable batteries (LP-E8) or you can simply throw in 6 AA's that are sold universally. Excluding Canon and Nikon, what camera brand would you like us to sell? © 2010 Gary Camera Digital. All Rights Reserved. Our discounted online prices will not be guaranteed for in-store purchases. For international orders, please call our store at +1 219 769 2451.